This type of edging is ideal between a drive and lawn instead of using cement kerbs. 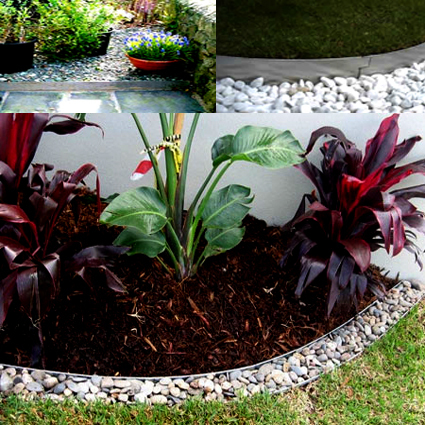 It is a low maintenance metal garden edging solution and lets you be the boss of your garden design. Made in mild/stainless steel, its flexible properties provide an ornamental alternative to regular edging. Stainless Steel wall plant supports will look fantastic in any garden. They are ideal for creepers can be designed and built to any specific requirement, and good quality workmanship that will last a lifetime is assured.